School mornings are often hectic. Moms are often rushing to get lunches packed, homework into the backpacks, straightening pigtails, and getting your kids ready for the day. If we’re being honest – we don’t always have the time (or the desire) to make a hot breakfast for our family. Towards that end, I am a huge fan of “grab and go” breakfast items – things I can pair with a piece of fruit or a serving of yogurt. Things like muffins. Delicious, can’t-get-enough-of-them muffins. This past week, I noticed a handful of extremely sad bananas. Since over-ripe bananas are hard to come by at my house, I jumped at the chance to make banana muffins. My husband’s family was in town, and I wanted to do something a bit more special than a standard banana muffin. I started looking through my pantry for inspiration, and saw my jar of SKIPPY® Natural Peanut Butter Spread with Dark Chocolate. A delicious idea was born. I made a few tweaks to my Best Ever Banana Bread recipe, and came out with a new family-favorite. (The batch didn’t last a full 24 hours!) Make these for the coming week. 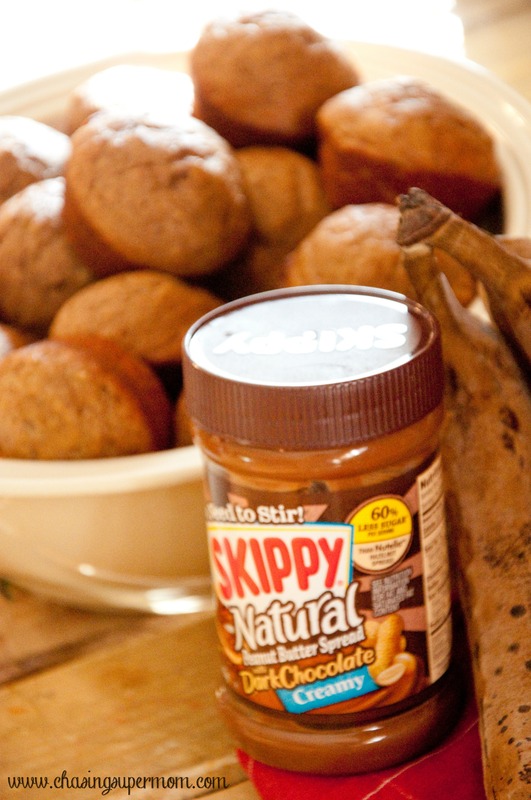 These muffins are the perfect breakfast and are also great for after-school snacks! Enjoy! 1. Pre-heat your oven to 350 degrees. Grease your muffin pan or line it with muffin cups. 2. Cream together the butter and sugar until it is light and fluffy. Add eggs and mix well. Add chocolate milk, lemon juice, and vanilla. Mix well. 3. Add your bananas and mix well. Stir in the SKIPPY® Natural Peanut Butter Spread with Dark Chocolate. 4. Stir in your dry ingredients until incorporated. ENJOY! This recipe makes 24 regular size muffins. *This post is sponsored by Hormel. As a Hormel Extended Family Blogger, I receive free product and information to facilitate my posts. All opinions are my own. 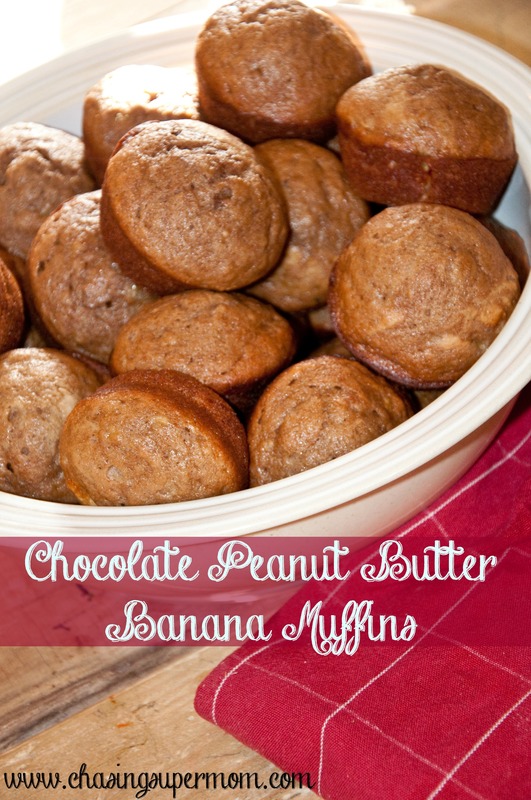 I love muffins, and these are such a good recipe for Chocolate Peanut Butter banana muffins. I want to make these on Saturday when I am less bush and have them for Sunday breakfast. These would go so good with a nice hot cup of coffee. Thanks for sharing.